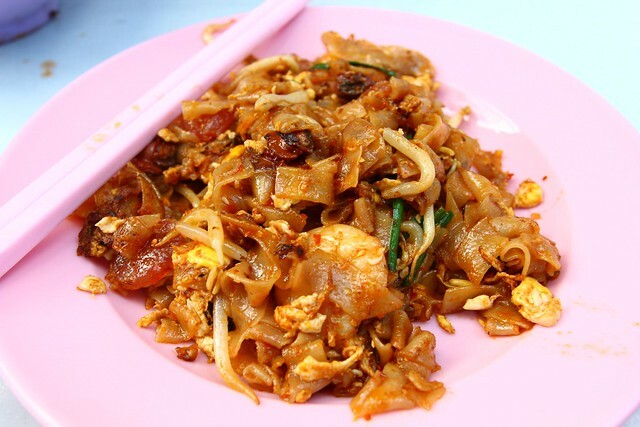 Char Koay Teow For Breakfast At Perak Road Market – After eating the famous Penang Hokkien Prawn Mee at Perak Road (Jalan Perak Pasar) Market, I realised there’s still space in the stomach, not feeling very full, and so I ordered a plate of Char Koay Teow to share with my friends. It does looks pretty with a 3 shrimps in it, nicely fried with chilli sauce, and a few slices of Chinese sausage as well as beansprout. The experience with it was not the best, it’s not dry enough in my opinion as the “wok hei” 锅气, the heat / power of the frying wok was not strong enough. 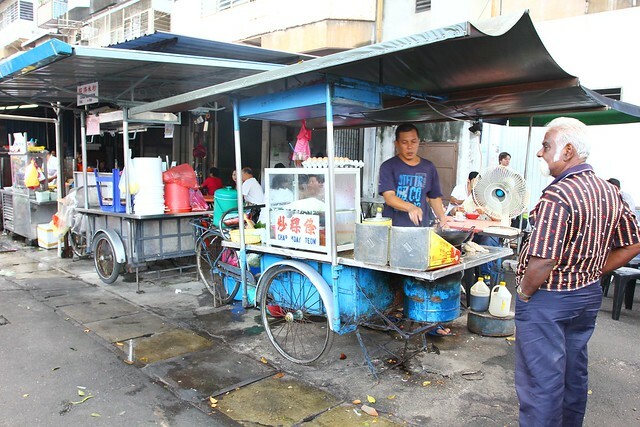 After all, it does fill up my stomach well, not a bad char koay teow, just a SO-SO typical char koay teow to me, I want something drier, hotter, a little bit more spicy, more beansprout and it will be perfect.